Some individuals occasionally have difficulties providing the quantity of saliva required for our analysis. Make sure to review the instructions included with your kit and our article about providing your saliva sample. Biting or scraping your cheeks is not recommended; keep in mind that the majority of the cells analyzed in your saliva sample will not be epithelial cells from your cheeks but white blood cells that are found naturally in your saliva. The full saliva sample should be collected within 30 minutes and the funnel contents should be released into the tube immediately. This buffer prevents DNA from degrading over time; waiting longer than 30 minutes or delaying the release of the buffer solution may decrease the yield and quality of your DNA. Individuals experiencing xerostomia (dry mouth) naturally or as a side effect of medication may have difficulty producing enough saliva within the recommended 30 minutes. If you are unable to produce the required amount of saliva within 30 minutes, you can release the buffer into the tube first, then add your sample on top of the buffer until it reaches the top of the tube. In this instance we recommend removing the funnel lid and rinsing it with water after the buffer has been added, then reattaching it to the tube to spit. Once the buffer has been released, you can provide your sample over a longer period of time if necessary. If the buffer liquid is spilled you will need to request a new kit. Where do I send my sample? 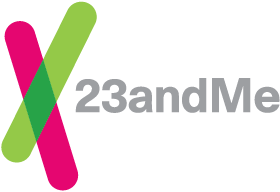 Who can use the 23andMe kit?